How to get Incredible, Six-Pack Abs (Part 2): Metabolic Circuit Training | Fitness Advice for the "Average Joe"
You don’t need to rest your ab muscles to allow it to grow? Abs and Calves are kind of unique muscles in that they seem to require less recovery time between hard-core workouts. I play it by ear a little bit… sometimes when I hit my abs really hard, especially with weights, my muscles are sore for 1~2 days, in which case I will rest my core and allow the muscles to grow. Overall, I hit my core area about 3~5 times per week, and that works great for recovery and growth. If you want six pack abs, do aerobic exercises. 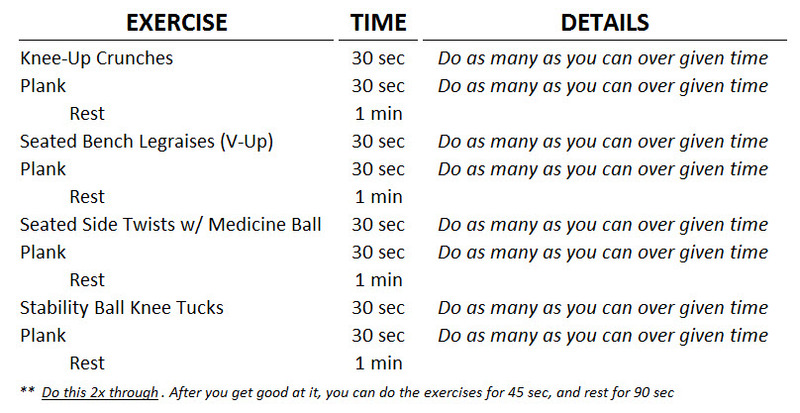 Ideally you want to do 30-45 minutes of cardio exercises three times a week and weight train two to three days a week. Work out your entire body and do abdominal exercises on alternating days.